Your Numerology Chart: The Life Path Number – How To Calculate it & Find your Purpose! The Life Path Number is the most significant number in your Numerology chart. It contains clear, accurate and dependable information on what your life’s journey will actually look like. It describes the direction your life will take, the challenges you’ll encounter, and the opportunities you’ll meet. It can also reveal many of the innate traits and talents that you were born with, some of which you might not even know you possess! Then add those 3 numbers together, and reduce this to a single digit (or Master Number)…. Easy! In our example, 2 + 4 + 6 = 12, and 1 + 2 = 3, so the Life Path Number is 3. 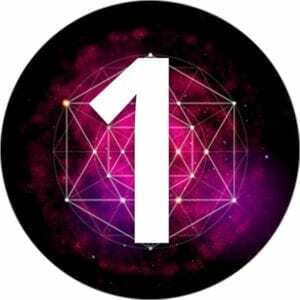 In Numerology, 11 and 22 are Master Numbers, and they have unique meanings that require stand-alone readings. If you reach totals of 11 or 22 in your final calculations, you don’t need to continue reducing. So stop your calculation there. There IS an easier way to find out your Life Path Number… Just use our FREE Numerology Calculator below! Your Life Path 1 needs you to take the lead. People born into the number 1 often become great leaders and for this reason, they make great entrepreneurs, freelancers, generals, commanders, CEOs and producers. Any path with takes them out ahead of the general populous and onto the front lines of life will give them ultimate fulfillment. Life Path Number 1s are usually blessed with motivation, enthusiasm, creativity and inspiration, and they tend to be physically healthier and mentally stronger than many other people. But their strong desire for success could come at a high cost – the fighting spirit of some Life Path 1s could end up alienating them from others, or alternatively see their self-esteem plummet. So it is important for ones to invest in their own personal development and foster deep and lasting self-trust. Your Life Path 2 needs to you love and be loved. 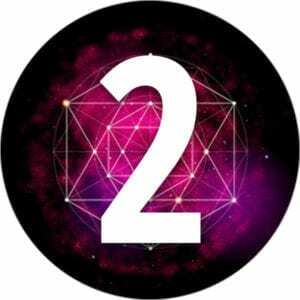 The most important thing for the Life Path Number 2 is connecting with others on a deep, soulful level, so those born into this number tend to be diplomatic, sensitive individuals who make great judges, mediators, lawyers counselors or social workers. Life Path 2s have the ability to bring harmony and ease to all group situations. It is very important for those living out this vibration to get out and socialize, otherwise they risk feeling isolated and pessimistic, and suffering from lethargy and depression. But their empathic tendencies mean that twos may also feel too responsible for the wellbeing of others, so creating firm boundaries are key. 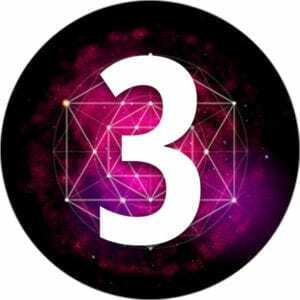 Your Life Path 3 needs you to be seen! Life Path Number 3s are the entertainers of the world and most of these people are truly gifted musicians, writers, actors, dancers, public speakers and politicians. The Life Path 3 is one that is characterized by beauty, excitement, eccentricity and fame. It’s very important for those living out this vibration to find authentic ways to express their inner essence and be truly seen (behind the mask, and beyond the stage) and for many, this is the real challenge. Some threes stray from their path, giving up their dreams and talents and some even escape into drug abuse or promiscuity in a bid to silence their inner calling. For this reason, 3s must retain their sense of childlike wonder, play and relentlessly fuel their creativity. Your Life Path 4 needs you to find stability. Life Path Number 4s are often the pillars of their communities. These individuals are hard working, practical and trustworthy, and as such, make fantastic marriage and business partners, teachers, mentors and advisors. Their resourceful nature means that they are able to create something out of nothing and are often called upon in a crisis! However, self-sacrificing fours often demand too much both of themselves and others and can develop reputations as martyrs or tyrants: Their will-power and tenacity being misinterpreted as greed and stubbornness. 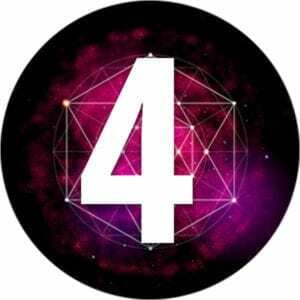 This completely baffles the confused Number 4 whose intentions are usually to benefit the good of all, so it is important for those living through this vibration to regularly release some of their perfectionist tendencies and practice kindness and compassion for both themselves and others. Your Life Path 5 needs you to find freedom! Life Path Number 5s are highly inquisitive individuals who consider hands-on experience to be the best teacher in life. Many people living out this vibration are deeply intelligent, philosophical and spiritually-minded, as well as being great communicators that make excellent social anthropologists, archaeologists, teachers, writers and historians. 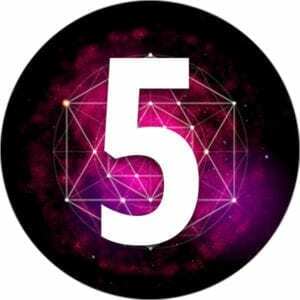 However, Number 5s can tend towards being self-absorbed and unaware of the more widespread effects of their footloose and seemingly reckless actions. The avoidance of commitment of many fives can also prevent deep and loyal bonds forming between them and the people in their lives, so it is really important for these folk to find ways of experiencing freedom and variety, without running away from responsibility and hurting their families. Your Life Path 6 needs you to nurture. Life Path 6s are usually people-pleasers that have a need to feel indispensable to others. For this reason, many often dedicate their lives to being caregivers and service providers such as doctors, nurses, counselors, firefighters and law keepers. 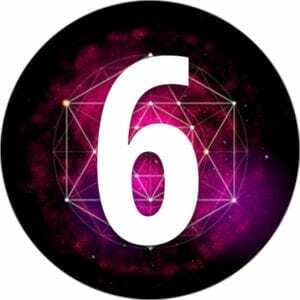 The Number 6 is usually characterized by family, home, space-holding and witness. It’s very important for these people to find ways to care for and nourish themselves, as they can easily give so much to others that they end up energetically depleted. For many, this is the real challenge. In fact, the obligation that many sixes feel is such that they may find themselves enslaved to an addicted or mentally ill partner, and entwined in a codependent relationship. This is a sign that they have become enablers rather than healers, so this fine line needs to be learned and walked carefully by those on this path. Your Life Path 7 needs you to seek out knowledge. 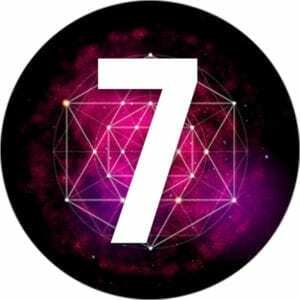 Life Path Number 7s are intellectual and studious personalities and often pursue advanced academic careers. These analytical deep-thinkers make great mathematicians, engineers, inventors, scientists and doctors. This numerical vibration is one that’s characterized by the quest to know how it works, and what it all means. The love of learning held by sevens requires a great deal of private time to cultivate their knowledge. Indulging in practical experiments and training is also vital – those on this Life Path are often incredibly talented with their hands. It’s very important for Number 7s to find ways to trust their own mind and heart. Overthinking can be a real problem, which can quickly lead to self-doubt and the inability to make decisions. Connecting to their instincts, and opening up to others can be a challenge, but also a path to success and fulfilment. Your Life Path 8 needs you to find ways to achieve and prosper. 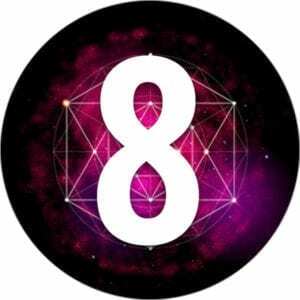 Life Path Number 8s are usually confident, charismatic individuals, and their life purpose often centres around learning to manipulate money and power without becoming corrupted in the process. They make great landowners, business owners, builders and bankers. Eights have tremendous potential for improving the lives of thousands, perhaps millions of people, as their sphere of influence can be huge (often without them having to do a thing!) But sometimes the pursuit of riches and material wealth can become more important than their personal relationships and integrity. This is why it’s important for those living out this vibration to develop an exceptionally strong moral compass and ensure they are aligning every step they take with their personal core values. Number 8s must also avoid adopting a victim mentality. It’s likely they will face hardships in life, so their challenge is learning to bounce back. 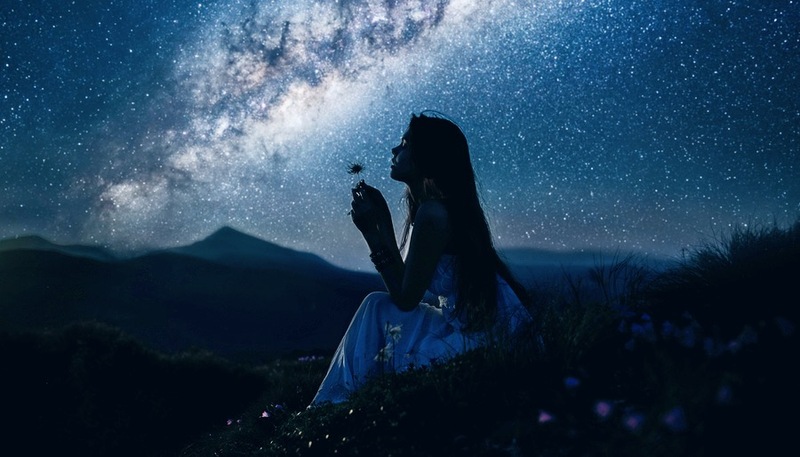 Life Path 9s are often old souls who can see the bigger picture, and are destined to travel a humanitarian path – they want to heal the world, and can see how to do it. These sophisticated individuals are selfless and patient, trustworthy and honorable from the beginning to the end of their lives, so these folk make great environmentalists, teachers, artists, priests and healers. Nines have a very stable and grounding air and have so much wisdom to impart that they can sometimes come across as condescending or even very controlling. So it is vital for those living through this number to live as a shining example – to practice what they preach, and also to know when to let people make their own mistakes. 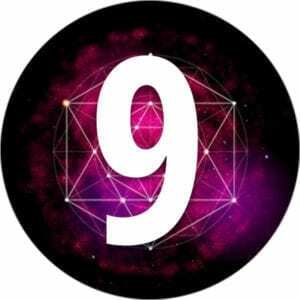 Number 9s can also be particularly idealistic, so they must learn to surrender some of this, lest they become disillusioned and upset when life and people don’t live up to their high expectations. 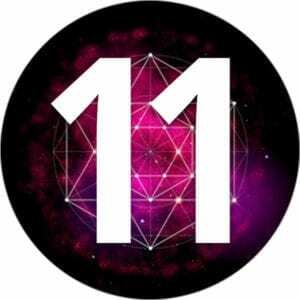 Your Life Path 11 is a search for enlightenment. Life Paths 11s tend to lead a life of extremes, swinging from challenge and (necessary) hardships to ecstatic growth and discoveries. These avant-garde and visionary individuals make great students, psychics, mystics, healers, teachers, writers, musicians and artists. Many of those living Master Numbers are “wounded healers” who at some point in their life suffer a devastating experience that propels them onto a spiritual path. This is often the beginning of their quest to discover and trust their unique voice and purpose, and lead life from the heart (and not based on others expectations). However, along with these wake-up calls, toxic emotional baggage and a harsh inner critic will also often come along for the ride. It takes many elevens their entire life to rid themselves of the chip on their shoulder and achieve an enlightened perspective, but when they do they become a shining light, leading the way for others to do the same. 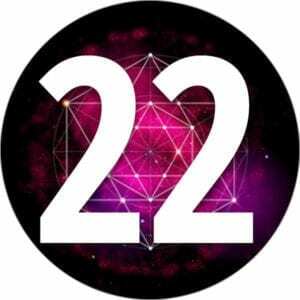 Your Life Path 22 is the path of the master builder. Life Path 22s are powerful manifestors, and if they are willing to work hard on what they desire they can achieve enormous prestige, success and fame. They are the most capable of all Life Path Numbers, being incredibly practical and grounded but they are also visionary individuals who have unique and original ideas. Their talents for manifesting ideas into the realm of reality mean that they make great architects, planners, world or political leaders and ambassadors. These people are inherently fairly-minded, diplomatic and generous, with a desire to share and distribute material wealth. Some Number 22s stray from their path, giving up their dreams ambitions, staying confined in the stability and structure of what they know. Like 11s, it takes many twenty twos their entire life to step outside of their comfort zone and into their power. For this reason, those living through this Master Number must retain their connection to their intuition and listen to that inner voice when it speaks. What have you discovered about yourself today? Curious about Which Powerful Numbers (or Master Numbers) Show Up in your Numerology Chart? Just enter your birth name and birthday and your customised free numerology report will be ready!